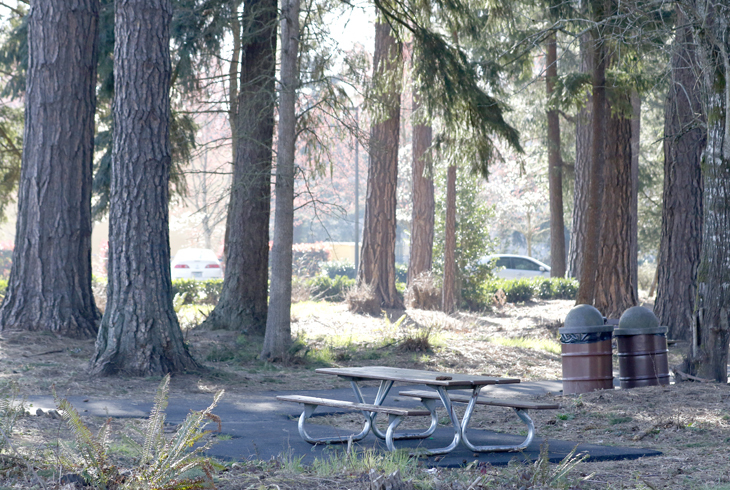 Dwight S. Parr Woods Natural Area is a two-thirds-acre wooded area in Beaverton's Five Oaks/Triple Creek neighborhood, near the district's HMT Recreation Complex at SW Walker Rd. and SW 158th Ave. Located among a row of restaurants, Dwight Parr Woods Natural Area can be accessed from SW Estuary Drive and SW Regatta Lane. A paved trail cuts through this small park from north to south, with tall conifer trees on either side. Picnic tables provide a perfect spot for an outdoor lunch.